With the advent of SharePoint Online in Office 365, the world witnessed a feature constrained version of SharePoint. As things have progressed, the scales of feature robustness continue to tip in Office 365’s favor. From Delve to Power BI to more capable external sharing, SharePoint Online enjoys the exciting and emerging developments for collaboration both today and in the future. Today, we want to discuss how you can ensure your SharePoint roadmap is best align for your cloud-based future. If you are leveraging SharePoint 2013, you already recognize the concepts that will be important to your path to the cloud. With established models such as the integrated FAST Search that is central to SharePoint 2013’s search experience, OneDrive availability both on-premises and in the cloud, and the Add-in Model (formerly known as App Model), you can see distinct Office 365 feature parity. You will also recognize that SharePoint 2013 and SharePoint Online share a similar look and feel, though, even that has already begun diverging on SharePoint Online’s part. Key Insight: Consider a hybrid approach to create a bridge to the cloud and leveraging SharePoint cloud practices on-premises. In an evolutionary step forward, SharePoint 2016 is taking the advances in the 2013 version and improving and refining them. 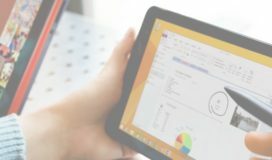 You will see easier integration with OneDrive in Office 365, truly hybrid cloud first search, more divergence from thee WSP deployment model towards the Add-In model, the App Launcher which provides more alignment and continuity with the Office 365 user experience, and a more cloud compatible SharePoint infrastructure. Key Insight: SharePoint 2016 is your path to the cloud. If you are currently on SharePoint 2010 but not ready for a full cloud conversion, consider an update to SharePoint 2016 to ensure a smoother transition. If you are on SharePoint 2013 and want to leapfrog to Office 365, consider a hybrid approach with 2016 to ensure your end-users and support staff have the opportunity to experience the best of both worlds. OneDrive continues to evolve as a separate brand that leverages SharePoint’s file management capabilities while enabling end users to manage their file sharing capabilities. It is still available in SharePoint 2016 as an on-premises and cloud option and is simpler to configure. Key Insight: If you haven’t yet, begin a pilot group to pilot OneDrive in Office 365. This will help a select group of users test a constrained sub-set of SharePoint functionality in a cloud environment and leverage it’s more robust external sharing capabilities. One of the most exciting developments in SharePoint 2016 is Hybrid Search. Search has always been a core component of SharePoint and one that has improved greatly in the last iterations. SharePoint 2016 continues this evolution of excellence. In SharePoint 2013 you had on-premises search and SharePoint Online search. With SharePoint 2016, you now have access to hybrid search by extending the online search experience to include your on-premises environment. If the benefit of a holistic search experience for discovery isn’t obvious let me make it clear; Hybrid Search simplifies and improves your organization’s ability to perform e-discovery. This also allows Office 365 Delve to surface on-premises content providing a cohesive content personalization user experience. Key Insight: Leverage Hybrid Search to simplify your search experience and produce less confusion for your end-user audiences. If you haven’t heard, the fate of WSPs is bleak. But the good news (well great news) is that you have the Add-in Model to migrate your custom solutions. Using a more robust and varied development model such as CSOM and MVC as well as your familiar .NET tools, the Add-in Model gives you a more varied palette with which you can compose your custom solutions. Key Insight: If you haven’t already, run, don’t walk, towards the Add-in Model as part of your SharePoint app dev approach. Also, look at the various Office Add-in options and begin to rationalize your Application Lifecycle Management approach as it relates to Microsoft integration. SharePoint 2016 introduces some very sensible and impactful improvements to your SharePoint infrastructure. Any IT Pro who has struggled with SharePoint server topology design will find Server MinRoles to be invaluable. The newly defined server roles (Front End, Application, Distributed Cache, Search, and Custom) simply formalize the functions architects typically assign to farm resources. MinRoles now provide profiles that optimize the server for its respective assigned role. We suspect this developed from Microsoft having to scale their own product to be a globally available service. In place patching will be the literal wish granted to just every person who has had to perform SharePoint patching. Again, mimicking the always online experience of Office 365, you can now perform patching without bringing your farm down and provide a 24/7 experience. Watch nail-biting change windows become a thing of the past (well for SharePoint at least). Large file support will bring the on-premises edition into alignment with the cloud version of SharePoint and OneDrive and possibly cause the storage team to become your mortal enemy (more so than you already are). Key Insight: Leverage the streamlined cloud ready infrastructure capabilities of SharePoint 2016 to make your infrastructure management load simpler and provide more robust and optimized services. Your SharePoint investment is an asset you as an IT influencer or decision maker want to ensure is poised to allow your organization to be as nimble and responsive as possible when it comes to effective internal and external collaboration. Hybrid models and the cloud are providing the means for your end goals. Leveraging the capabilities of both SharePoint 2013 and 2016 with the cloud in mind will allow you to better navigate the often rough waters of application lifecycle management and governance. Whether it is piloting OneDrive online, beginning to develop custom solutions using the Add-in Model (including Office Add-ins) or leveraging SharePoint 2016’s cloud-based search, you are preparing to future proof your SharePoint roadmap.